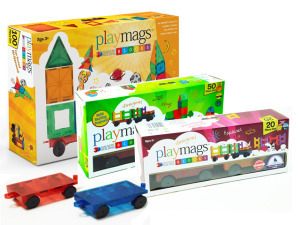 Playmags will donate a full package of playmags and accessories. Just post below why you think this special someone should win. it can be your school,friend,organization, etc…. we will pick one story that will win a full Holiday Package! What others are saying about Playmags…..
we are so excited to launch this blog for our Fans. Our aim in establishing this blog is for our fans to get inspirations, share ideas, get specials and sale updates. we are so eager to get to know our fans and let the whole world know about this great building toy! have fun, and please don’t forget to leave us your comments!